A Day at Disney's Animal Kingdom. 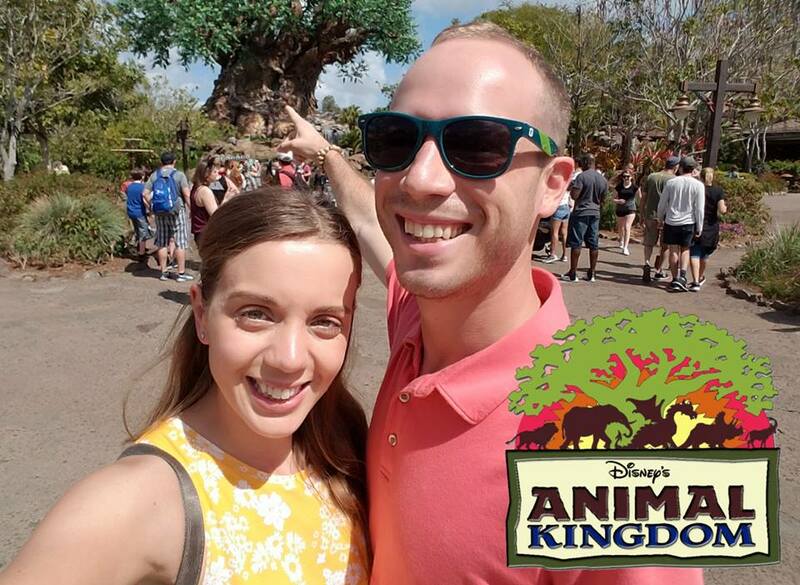 You may remember from a few weeks ago that my awesome husband surprised me with Disney tickets for my birthday. 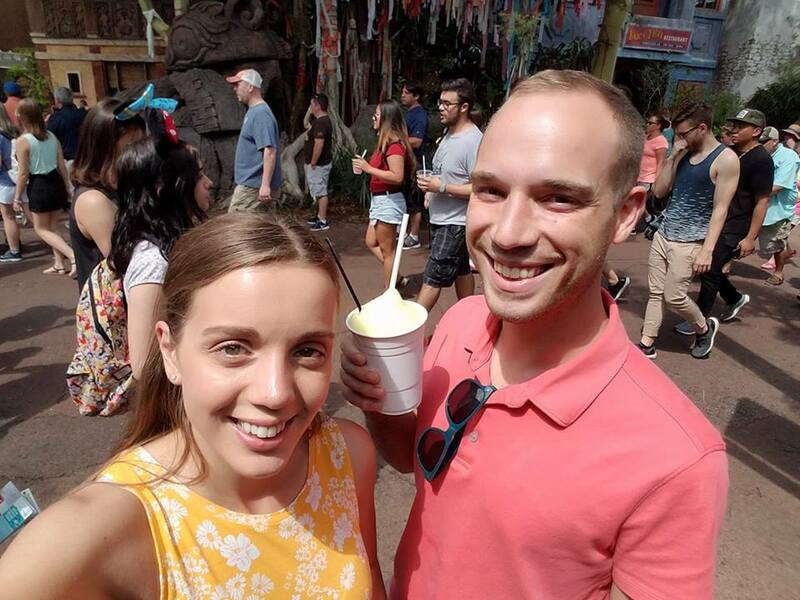 I shared our day at Hollywood Studios, for our four year anniversary, a few weeks back and today, because we had so much fun taking pictures at Animal Kingdom, I thought I would share that with you too! 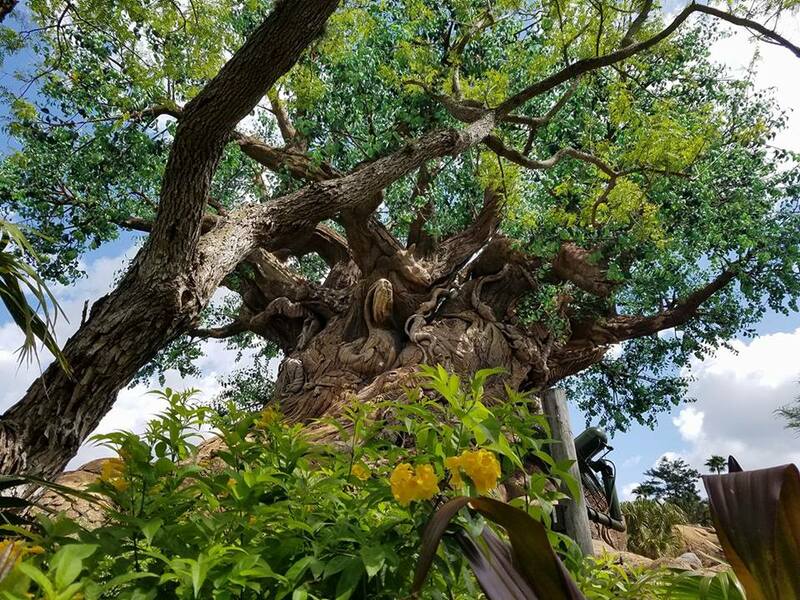 Just like the castle at Magic Kingdom, no matter how many times I see the Tree of Life, it gives me pause and I could just look at it all day. It's incredibly detailed and brilliant. Chris and I like standing underneath it and pointing out which animals we can see to each other. We went on a beautiful day, the sun was shining and the flowers were looking all pretty. A great day for pictures! Our days at Disney wouldn't be complete if we didn't tuck into some Disney food. 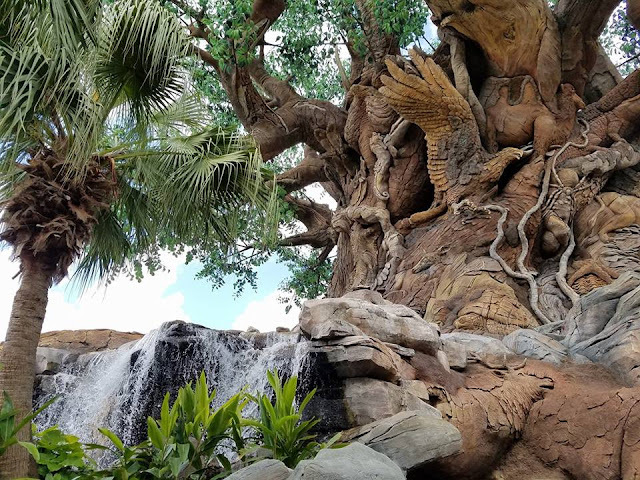 There are quite a few new places at Animal Kingdom, which were cool to see. Some smaller quick service dining spots and a new fancier kind of restaurant right where the Avatar section is being built. We couldn't see much of that but from what we could see, it's going to be pretty epic. 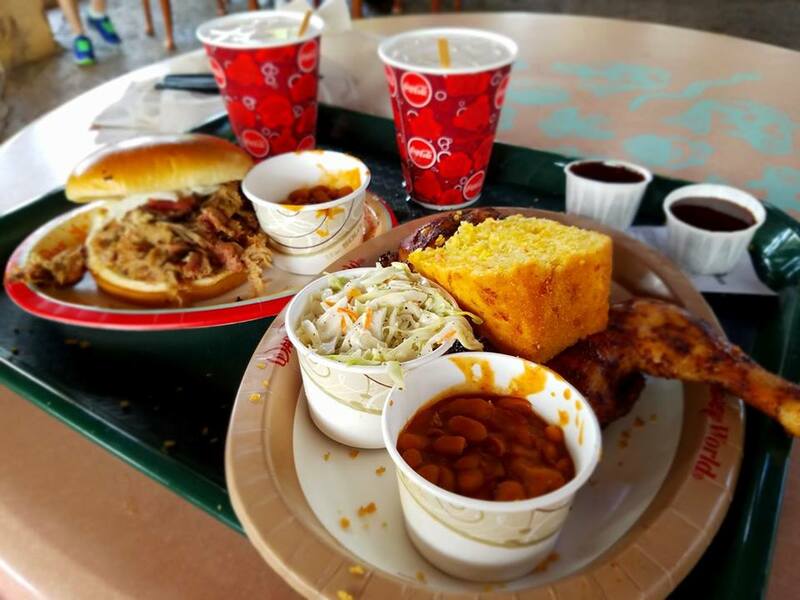 But back to the food, on this day we enjoyed some classic BBQ and like I have said time and time again with Disney food, it was delicious. Again there are no words really. It's just spectacular. Add a cascading waterfall to the backdrop and it's just idyllic. I love Disney shows. This was our second time watching The Lion King and I think I enjoyed it even more this time round, even though I knew what was coming. The acting, the singing, the props, the costumes, everything is fantastic. I think I spent the whole thirty minutes with a smile on my face, I am not even kidding, I just couldn't stop. 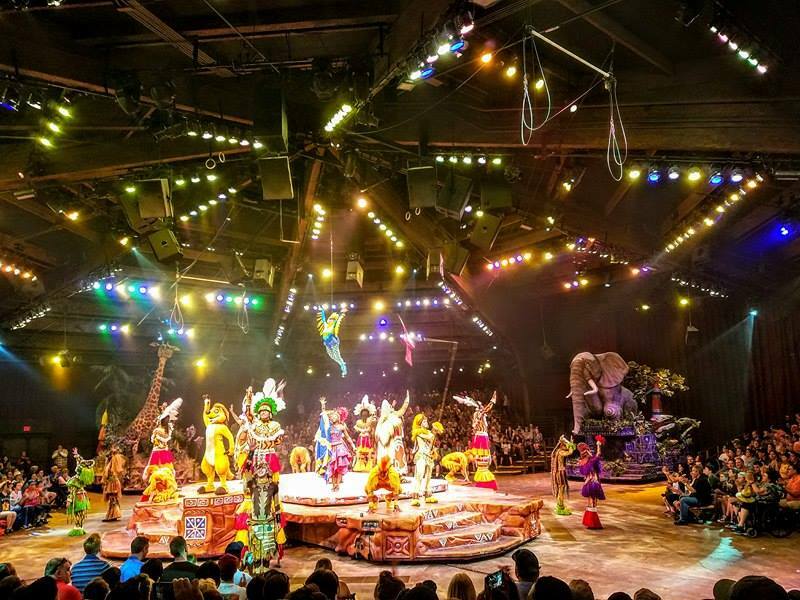 My favourite act in this show, are the tumbling monkeys. Those guys are incredible! I can't help but think I could have made a good tumbling monkey, if we hadn't have stopped trampolining, it looks like so much fun. More delicious snacks, I swear all we do is eat! 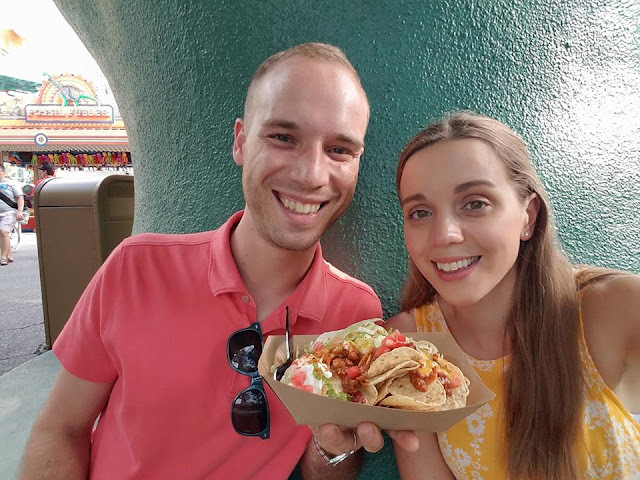 To be fair, we had quite a lot of time in between our fast passes and after walking around a lot of stores and looking at a few different areas, all we both wanted was food. It was just too tempting. What a view! I have to admit, when Chris and I first got together, I rode every ride he took me on when we went to theme parks but admittedly that was very short lived. I don't know if it's because I'm getting older but now I get way too scared to go on anything too crazy. If it goes too high or upside down, I'm out. 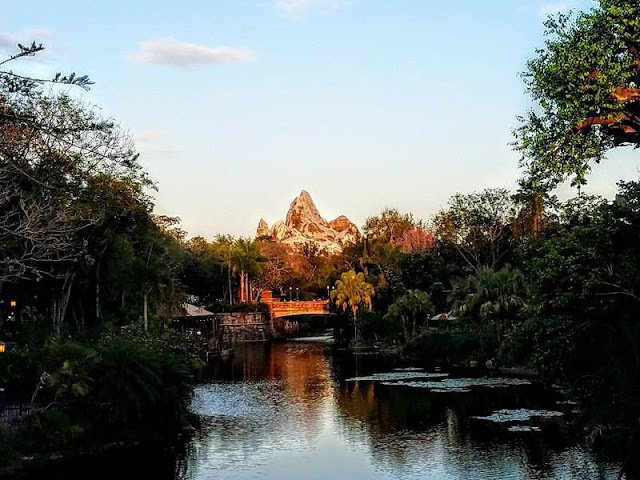 Luckily most Disney rides I can do and I happen to really enjoy Everest (pictured here) it's a lot of fun. So there you have it, our day at Animal Kingdom. Have you been? If so, what's your favourite ride? We always have so much fun at Disney!! I am so excited for you. You will have to tell me more about your trip! :) What have you got planned.